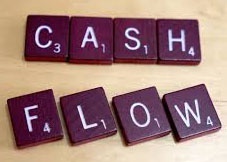 Credit Control is the process of getting money back you are owed by an individual or business. Most businesses don’t possess a formal credit control retrieval process. What we hope for is to post invoices to the people who owe you money and they have to pay it. Simple. The major issue is that half of the invoices owed are not paid on time, which can have a severe problem with company’s financial sustainability. If you are having issues with your business cashflow and customers paying on time than you require a formal credit control procedure. Who will pay the invoices? What information is required for the invoices? Are there any time requirements to pay your invoices? By having this data, you won’t waste time in sending invoices and having to follow up the late payer’s. Sit down with your client and decide how is he/she going to pay up andthen design a strong schedule. Get the client to sign the contract physically or digitally so this means they don't have any excuse for not knowing your terms. The best strategy to ensure that invoices are paid on time is to send it to the customer when the services or a product is being delivered. After the legal transfer of the product or service, the customer is happy and he/she will pay the invoice on time. The worst thing you can do is to accept late payments as routine. The best way to cope with this is to highlight the missed payments and the most important payments. Create a plan and discuss it the client. Attempt to come up with a suitable solution for the client, offer incentive payments, change in terms, etc. Don’t give up if the first strategy fails. Each strategy is different and each invoice is unique to each client. Don’t hesitate in telling your client that they are late in their payment. A single email can get your unpaid invoice paid by the client. Most unpaid bills can be recovered by simply emailing clients reminders. But never pause to call the customer for late payment if he/she doesn’t answer your email. It’s difficult for them to explain why their payment is late. It’s even more beneficial to meet face to confront with the client to solve the matter. Saying thank you never hurts and especially when it means that the customer will pay the next payment on time. It hardly takes a few minutes to write an email to the client thanking him/her for the timely payment and it is the best way to strengthen your bond with the client. Sending a thank you email within in 24 hours after receiving payment is the quickest way to demonstrate gratitude. A few customers are in the habit of paying payments late. In case the customer misses a lot of deadlines, then you could charge interest or late fees, send debt collectors, stop providing services or product, or take legal action. A customer might react to these moves and you have to see the threat through. You can’t make empty threats. If you want to be taken seriously by the customer then follow through on all your promises. Never forget your teammates if you are worried about the late payments from a specific client. It might be the sole duty of the finance team to manage late payments, but it won’t hurt to delegate to the squad in receiving the late payment from the customer. Tell account managers and sales staff that a specific account’s payment is overdue. Sales staff might be able to lay out a new sales deal or managers might be able to use their relationship to leverage to receive the unpaid invoice. As the number of unpaid invoices per month increases, credit control becomes complex. There are various modes of communication which can be used to communicate with the client including emails, calls, and letters. Some information can be stored in your accounting software and the rest of the information is then saved in your client relationship management system. This means client info is spread across different areas, not the best! The best and the firmest path to manage credit control is to monitor the clients through one online software. Online software to manage credit control stores all activities of each client, including the history.